Here is the weekly tournament update. Teams with the best record after 32 games move on to the second round. The Mets, Padres and Nationals are putting a real scare into some higher seeded teams. I know Night Owl despises tournaments (or so I think), but I bet he is praying for his Bums to not be the first #1 seed team in history to fall to a #16. If you want to get in on the action, drop me a line about a trade in the comment box or give me the link to your want lists! If a tournament will win me cards/money, then I'm all for tournaments. 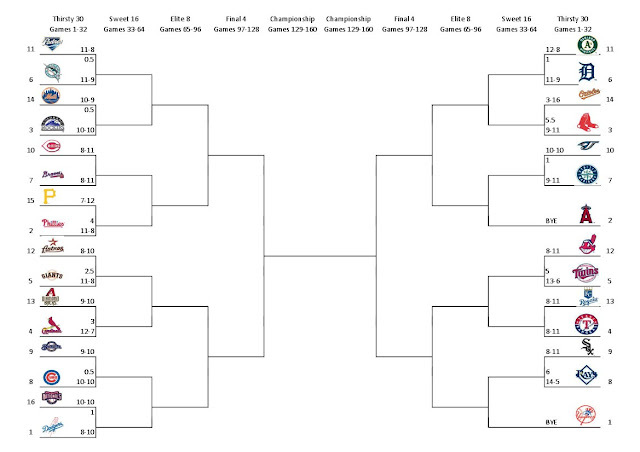 I don't even mind the NCAA tournament, although it creates a lot of work for me. 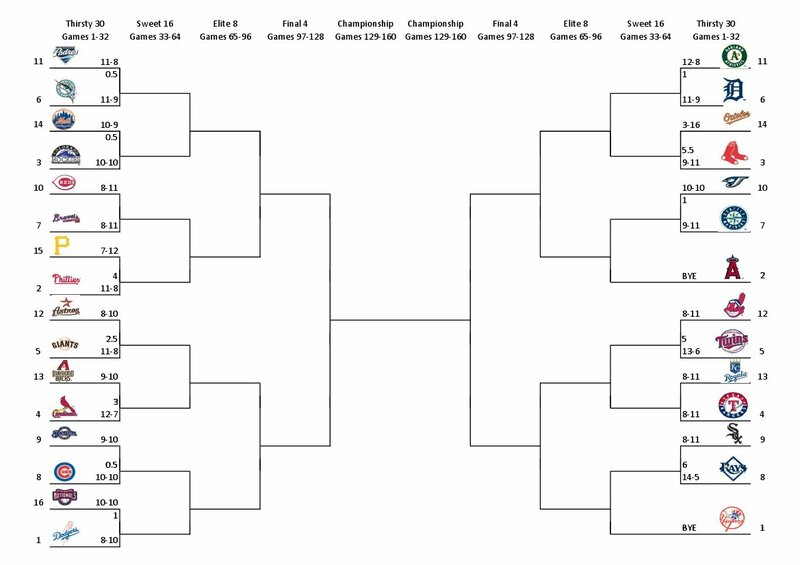 I've even got an idea for a tournament on the blog. There are tournaments I despise. But they're those crappy high school sports tourneys where 4 teams play each other on a weekend for no reason. "But they're those crappy high school sports tourneys where 4 teams play each other on a weekend for no reason." Ah, the dreaded "Round Robin." I loathed playing in those in high school. It was always made worse when one school didn't show and the Soph/Frosh team had to fill in. The Rangers need to wakeup and realize how important this tourney is....ha...thanks for the update.